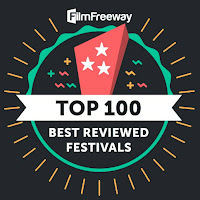 Hexploitation Film Festival: WEREWOLF DOUBLE FEATURE - Support the Eastern Wolf! 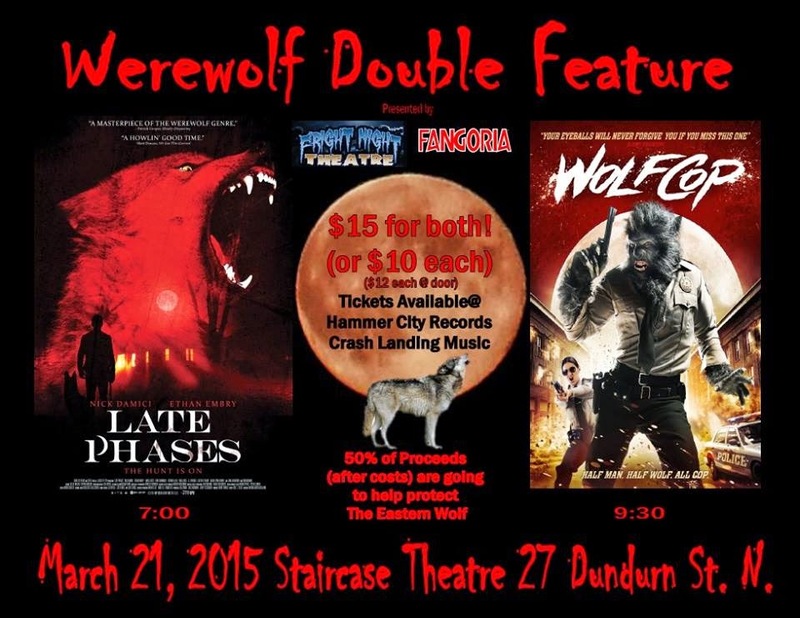 WEREWOLF DOUBLE FEATURE - Support the Eastern Wolf! 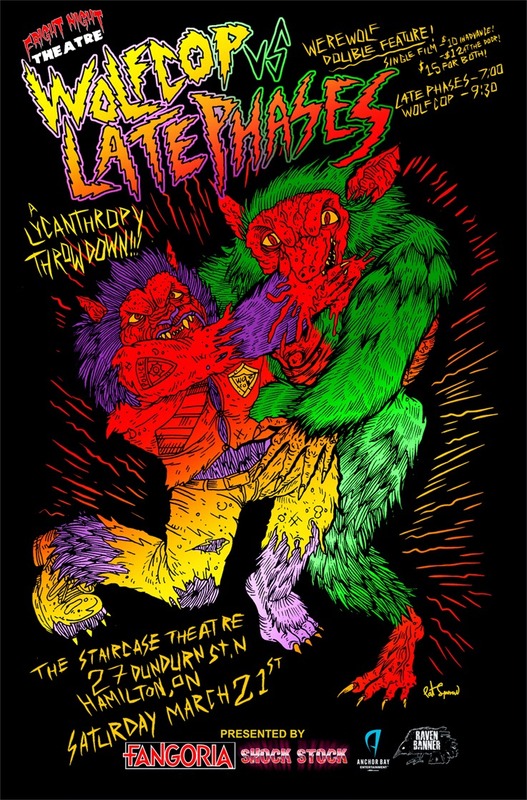 Purchase tickets to LATE PHASES & WOLFCOP and help protect the Eastern Wolf! In our shared mythology, the wolf is a monster. It haunts our popular culture as a symbol of the carnivorous wild that has terrified human kind since prehistoric times as much as it represents the inner beast within us all. Especially in the horror genre, the wolf has been long associated with evil, terror, blood lust, and horror. But the wolf is not the monster of our medieval imaginations. It is an important species that, sadly, is under threat by a truly dangerous species: humanity. 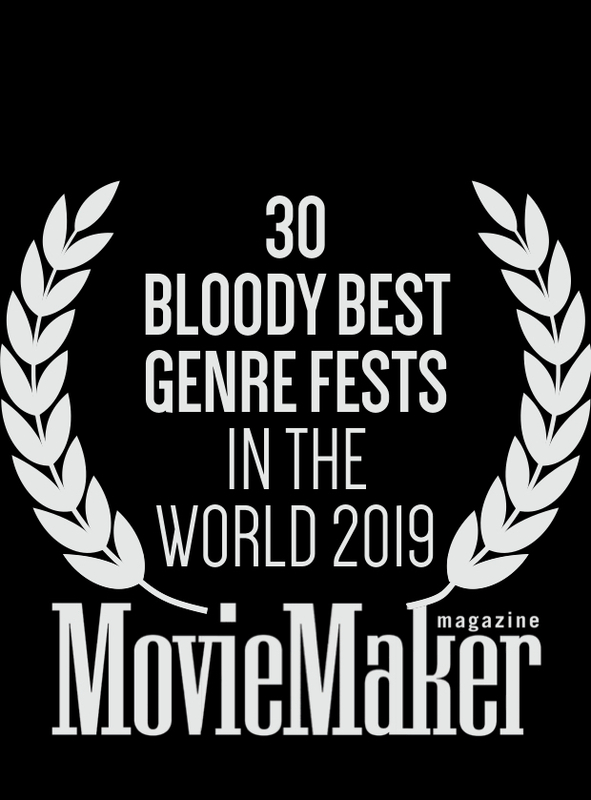 That is why Fright Night Theatre has pledged to use our March 21st double-bill of werewolf films LATE PHASES and WOLFCOP to help support the Eastern Wolf of Ontario and Canada. After costs, we will be donating 50% of all ticket sales to the Bring Back the Wild™ project which aims to support Eastern wolf research and education. By supporting research of the eastern wolf and its habitat needs, initiatives like Bring Back the Wold will help the eastern wolf survive and expand in the future.